***Ample of clothes for a lot of changes and also if we go without wash for whatever reason. ***Ample of soft towels, hooded towels to pat the baby dry after bath. ***Bathing essentials like a clean bucket/baby tub/mug/soap. ***Soap or liquid/powder or corn starch/tilakam or kaatuka. ***Rubber sheets baby skin friendly to keep the surroundings clean, keep a few of them in reserve, especially if you are using nappies and not diapers. ***Lots of cloth nappies or diapers of correct size. *** Baby pillows, pillow covers, blankets, plush throws. ***Saambrani and a plate/utensil to light it regularly. ***Bibs to wipe the drool. ***Keep a handwash handy to come with clean hands near the baby. ***Baby Doma Tera (mesh) if you are in India. ***First aid kit as mentioned in the blog. ***clean bowls/containers to keep baby items. 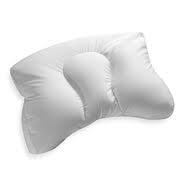 If someone is coming down from India, include a couple of baby pillows with covers stitched to keep the baby head elevated.. you get the newborn pillows, very soft and fluffy ones to keep the head in one position and not move to just one side.